Marc Baptiste was born in Port Au Prince, Haiti. His early experiences growing up on the beautiful island would serve him well, when at age nine he moved to the US. Marc brings a unique heat and cinematic beauty to proceedings, creating asense of atmosphere that sublimates mere aesthetics in the complete image. Consequently he is a trusted and demanded favorite of both Hollywood and the music world. His client list encompasses trend-setters, A-listers and those residing on the cutting edge of creativity including: Pharrell Williams, Shakira, Erykah Badu, Chloe Sevigny, Beyonce, Janelle Monae, Idris Elba, Barack Obama and Yoko Ono among many others. He has compiled three volumes celebrating the female form, beginning with 2001's Beautiful – Nudes by Marc Baptiste, followed by Intimate and Innocent. His work has been published in a marquee lineup of international print publications including; Cosmopolitan, Details, Elle, Esquire, Ebony, Glamour, Harpers Bazaar, Marie Claire, and Vanity Fair. His commercial work is distinguished for its appeal in global markets. 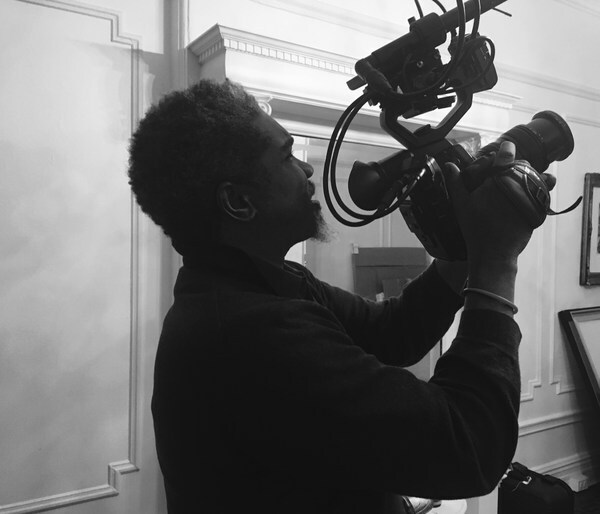 Expanding his repertoire into video work, Marc has delivered motion for a diverse group of clientele. Fashion collections for Morgane Le Fay, music videos (Patrice, Robin Thicke) and intercontinental advertising work with Shakira for Crest take pride of place in his show-reel alongside a personal exploration documenting the Rara bands of Haiti. Love for his birthplace influences all of Marc's work. He supports a number of Hatian charities including Cine Institute and his commitment to the re-building of his birthplace prompted his partnership with Donna Karan’s Urban Zen after the devastating 2010 earthquake. Marc holds a great love for music, soccer and travel. If he wasn't a photographer he would most like to be a musician or James Bond.